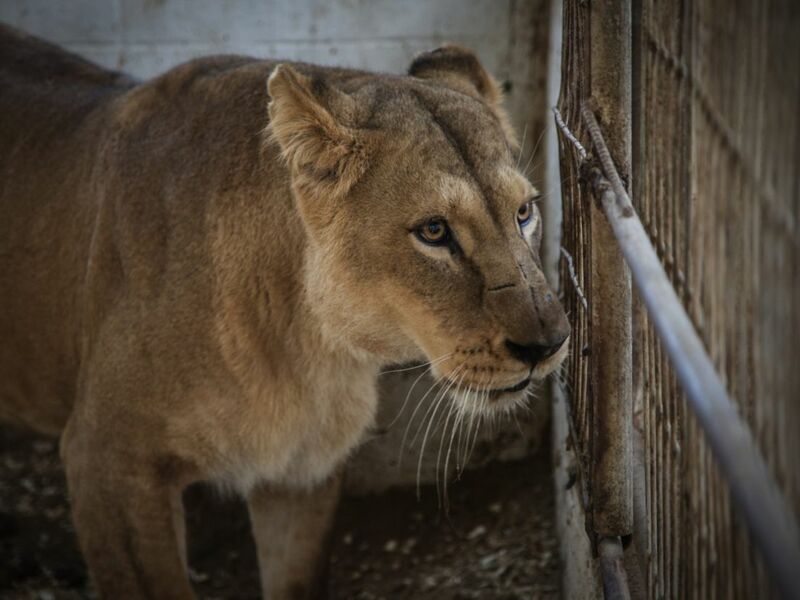 Collaborating with Israelis and Palestinians, the international non-profit Four Paws is in Gaza this month caring for the declining population of the enclave's six zoos. For weeks, Laziz was fed only frozen chickens – when he was lucky. Believed to be the last surviving tiger in Gaza, Laziz lives at the Khan Yunis zoo in southern Gaza, and his predicament reflects the troubling state of the enclave’s six zoos. 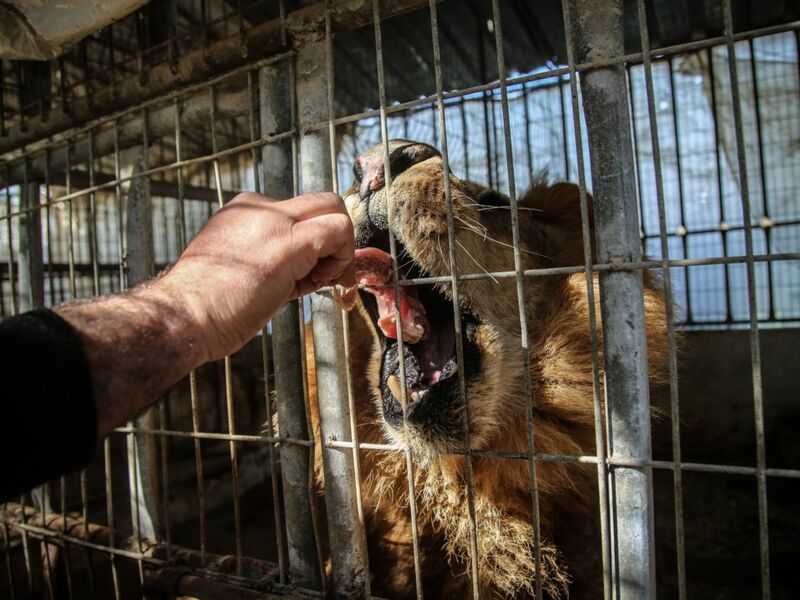 Since mid-February, Four Paws has been aiding over 100 animals at three Gaza zoos (Khan Yunis, Rafah and Al-Bisan), with the help of a handful of trained local volunteers who distribute food and provide medical aid. In addition to looking after Laziz, volunteers care for, among others, four lions in Rafah, including a pregnant lioness; reptiles, such as crocodiles and tortoises; birds, parrots and ostriches; and hyenas, porcupines and monkeys. There are also less exotic species to tend for: dogs and cats, as well as sheep and goats. The zoo animals “are not in good condition,” notes Khalil, who lives in Vienna and directs the Gaza efforts from Amman, Jordan. 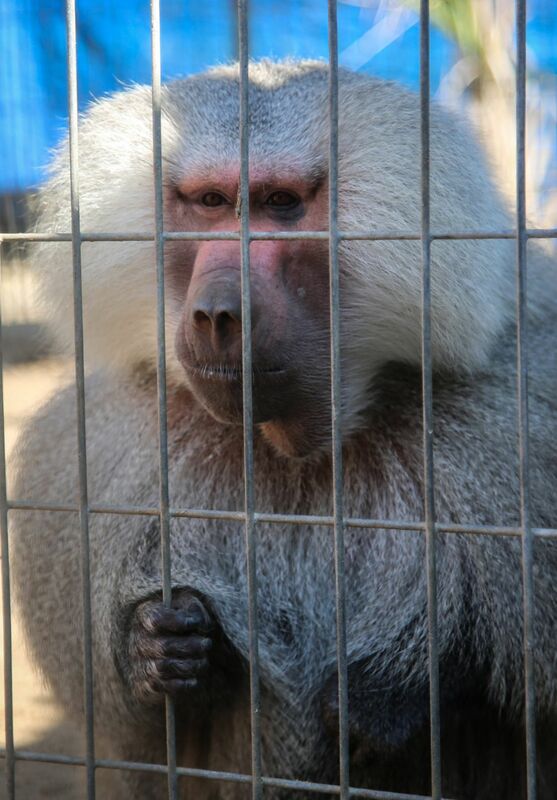 “They are facing death, cold weather, no food, bad captivity, cages and no proper care,” he says. 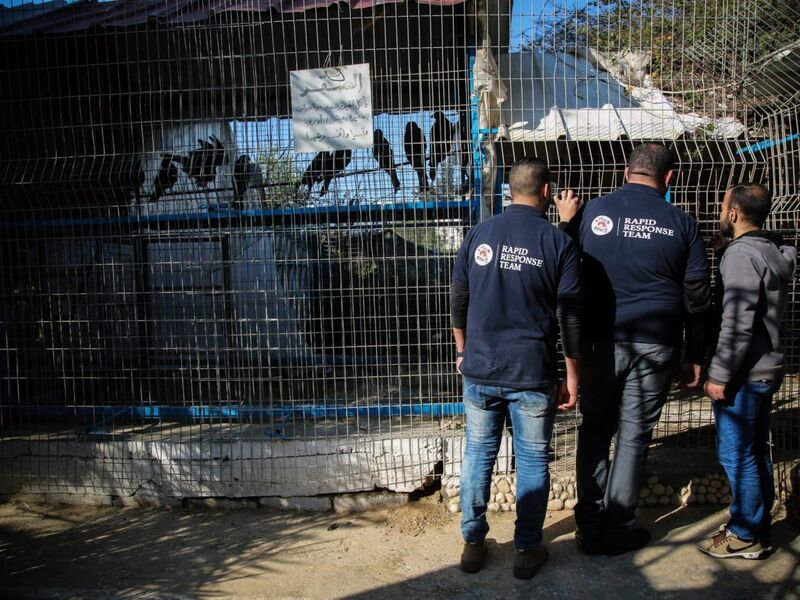 The current efforts to save the animals is a continuation of the work Four Paws started, and Khalil led, in 2014 in the aftermath of the Gaza war (known as Operation Protective Edge in Israel). 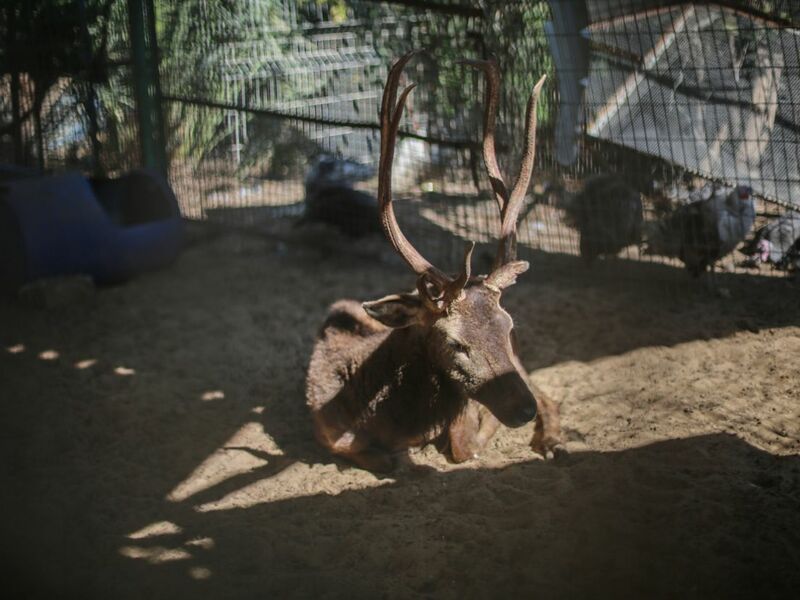 The conflict between Israel and Hamas that summer left 80 animals dead and only 20 survivors in the Al-Bisan zoo in Beit Lahia. Four Paws was approached by the zoo manager there, who begged for assistance. 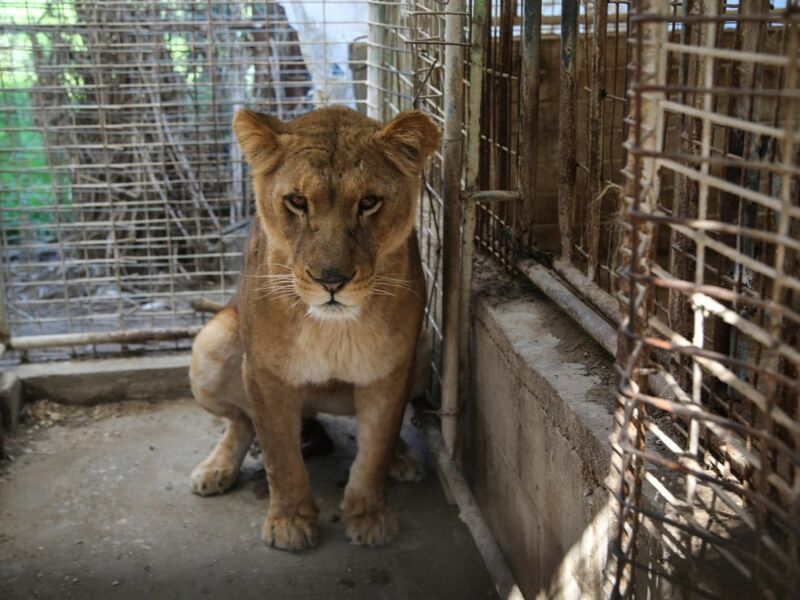 They began working with other Gaza zoos as well, finding dire and disturbing circumstances. For example, at the Khan Yunis zoo, the mummified remains of animals were displayed in cages alongside live ones, although zoo visitors are increasingly rare. “To have dead animals and live animals beside each other is horrible,” Khalil sighs. 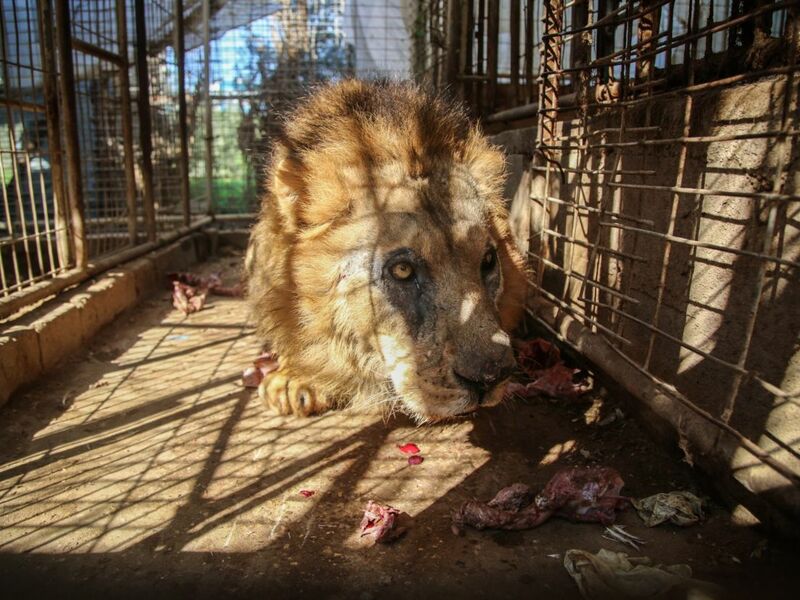 After the 2014 war, Khalil and Four Paws visited Al-Bisan to transport three lions to the New Hope Center – an emergency animal sanctuary in Amman. The organization engages in similar rescue missions around the world, from Bulgaria to Libya – where a team visited Tripoli’s zoo during the 2011 uprising in an ultimately unsuccessful attempt to save Osama, a Siberian tiger. Four Paws was founded in 1988 “to help animals who have been abused for entertainment, economic, scientific or other reasons,” says head of communications Claire LaFrance. Based in Vienna, the nonprofit has offices in 11 countries and receives all of its funds through private donations. Khalil has worked at the organization for more than 20 years, after initially joining a project to neuter stray dogs in Romania. The Gaza operation is being crowdfunded from an online charity site. With more funds, says Khalil, he would be able to extend the food supply by several months. Despite the animals’ desperate situation, the attempt to save them has led to rare collaboration between Israelis and Palestinians. Four Paws was the only organization granted a permit to enter Gaza to aid the animals there, according to Khalil. Khalil says he met with Uri Madar from Israel’s Agricultural Coordination and Liaison Administration – Gaza, as well as the Palestinian coordinator of the Gaza-Israel border and veterinary doctors to coordinate efforts. Meetings were arranged by the Israeli Coordinator of Government Activities in the Territories in partnership with the Palestinian Ministry of Agriculture. But the future of the animals in Gaza remains uncertain. A new facility outside Amman may absorb many of them, and a sanctuary on protected land in Gaza has been discussed. Khalil is concerned, though, that another war would be hugely detrimental to the animals remaining there. In the meantime, he will continue organizing rescue missions. And while the animals continue to suffer, he is heartened by what he sees as a consensus to help.